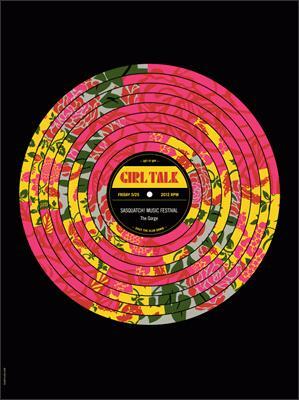 Original silkscreen concert poster for Girl Talk at Sasquatch! Music Festival at The Gorge Amphitheater in Gorge, WA in 2012. 18 x 24 inches on card stock paper. 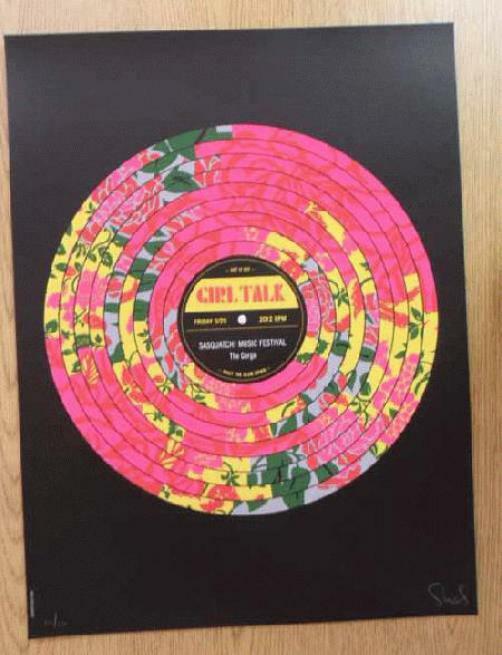 Limited Edition of only 120 signed and numbered by artist Dan Stiles.